Emirates Airwayscontinues to push barriers and provide highest levels of service and comfort for its passengers. At this year’s Dubai Air Show, Emirates made several major announcements including the commitment to purchase 40 787-10 Boeing Dreamliners at a cost of $15 bn. 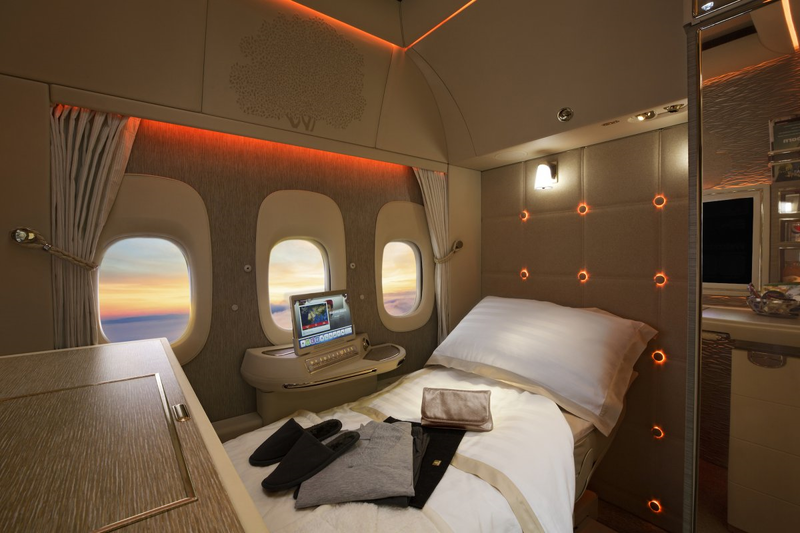 They also unveiled its new first class suite. 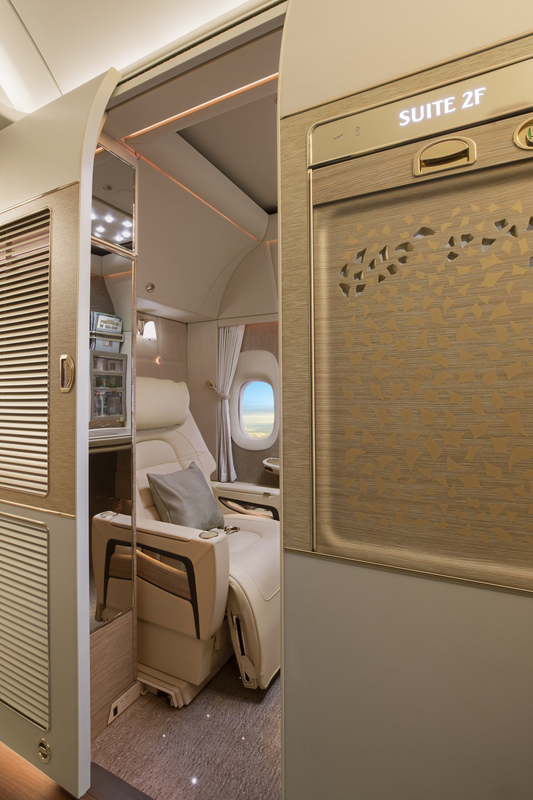 Until now Emirates First class consisted of a private area with a high partition surrounding the seat. The new suites will offer more privacy and luxury. It will be fully enclosed with newly refined luxury as inspired by the Mercedes S Class luxury sedan. Each suite area will comprise of 84 inches in length, a height of 81 inches and total area of 40 square feet. There will be 3 suites per row. This, however, means that the middle suite will have no outside windows. 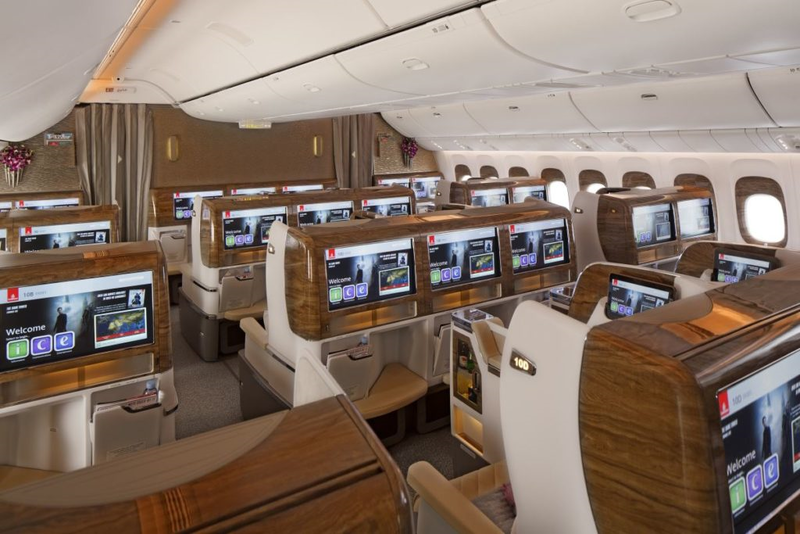 Emirates, though, have come up with a "virtual windows” solution which will show images relayed by outside cameras. The new colour scheme in particular is very welcoming. It looks fresh and warm. Another interesting innovation is the “zero gravity” seat position which apparently gives the feeling of weightlessness and helps to relax the passenger throughout the journey.. Fully reclined seat with a length of 78-inches and 30-inches width. A pair of Bowers & Wilkins noise-cancelling headphones. Check out the new interiors with these images:. 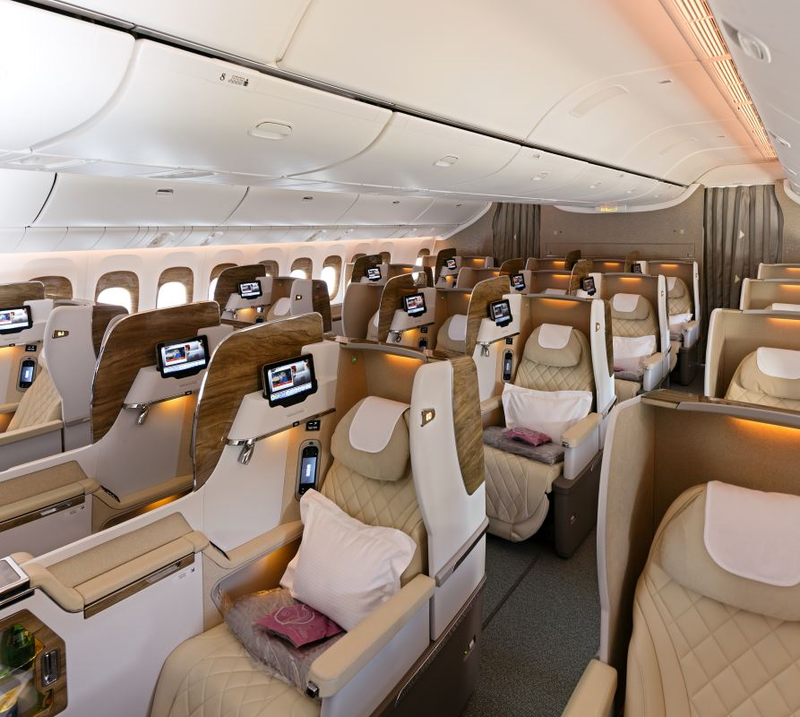 The Business class seat has also been revamped. Inspired by the modern sports car, the seats feature a 72 inch pitch with several personal lighting options. Each seat has its personal mini-bar. 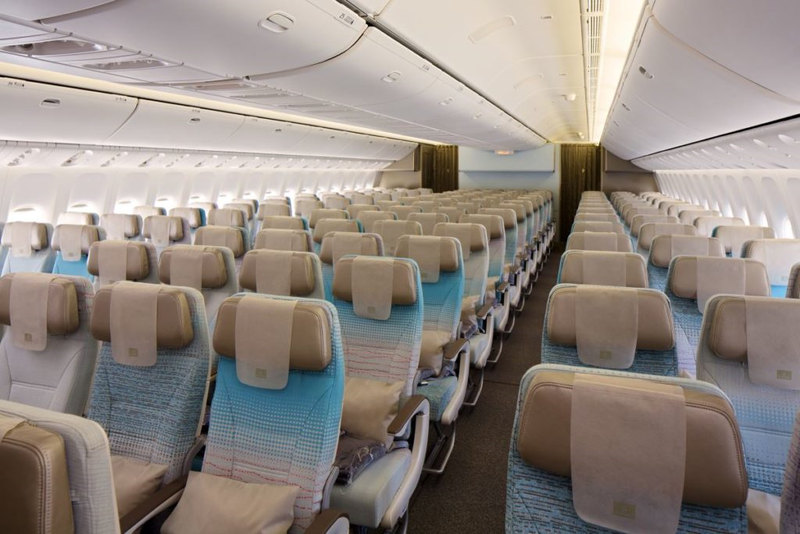 As for the Economy Class cabin, the new soft grey and blue colour scheme looks just great. The seats have been ergonomically designed for upmost comfort with an adjustable leather headrest on each seat and flexible side panels. 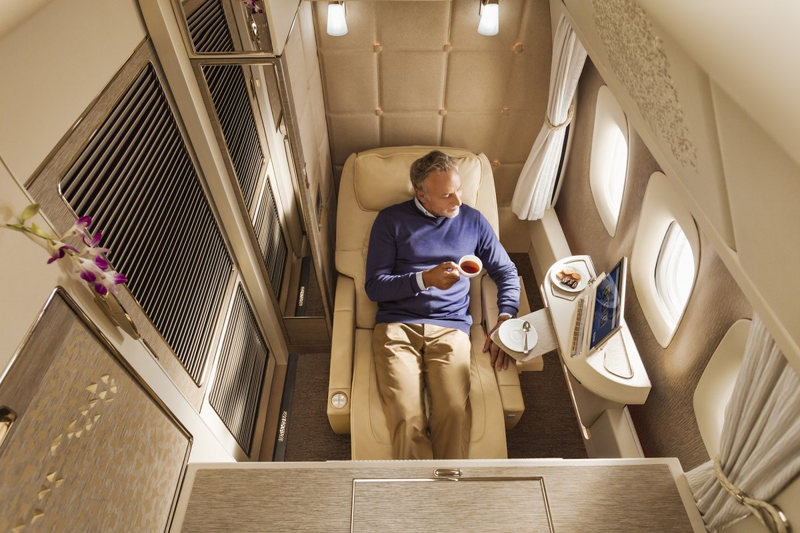 Book your emirates Airlines tickets from us , speak to our senior consultant.